From now until next Friday (2-14-14), my former DoD partner-in-crime-justice Shauna Scheets is offering her YA fantasy novel Ascha (prequel to The Tower of Boran) for free on Smashwords! Just head on over to the book’s Smashwords page and enter coupon code QJ94H at checkout to get your own complimentary copy in all major eBook formats (even plain ol’ PDF). A little while back, I had the distinct pleasure of serving as editor for Kirk Watson’s fantasy adventure, The Woodlander. Watson himself pitched the novel as “The Most Dangerous Game” meets Fantastic Mr. Fox, and after jumping at that hook, I found it to be a pretty apt encapsulation! An animal tale for an older audience (teens and up), the story focuses on a downtrodden squirrel named John Grey – a reporter whose cynical disposition and snarky quips are reminiscent of a hardboiled detective of ’30s pulp, and an immediately likeable protagonist for it. Six months after a terrible tragedy divested John of his will to write, a strange encounter outside a tavern prompts the squirrel to pull himself together for one more assignment, but when his investigation takes him to the less savory parts of town, he quickly finds himself a part of the story he meant to report. The Woodlander is the first volume of The Grey Tales series, and is currently available for 99¢ on Kindle – a tough deal to beat for a full-length novel of this caliber, so take advantage of it while you can! Money is the universal shortcut. You can get just about anything with it. Sometimes for a lot less than you’d think. 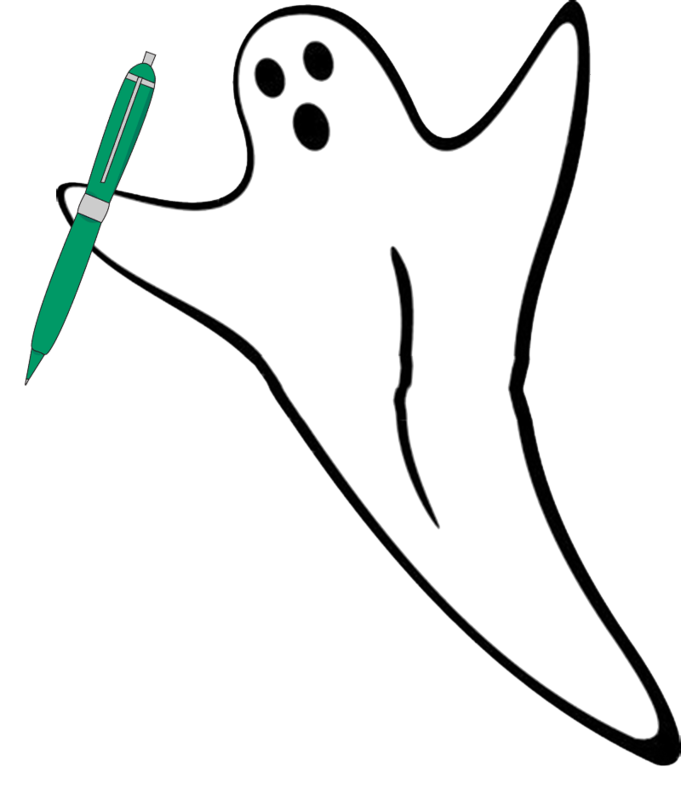 In my line of editing work, I come across a lot of want-ads for ghostwriting. Now, I can look the other way when it comes to surrogate writing in certain scenarios – you’re a not-so-eloquent public figure who needs the notes and rough drafts for your topical book or memoir worked into something fluid? Sure, O.K. But I’m talking about ghostwriting for fiction. Things like: “I need a sci-fi novel written. Preferably something to do with space exploration. Need it to be around 70,000-80,000 words. Must sign NDA and forgo copyright. I’m willing to pay up to $500.” (No joke!) It shouldn’t come as a surprise that there would be a few people out there with that kind of audacity, but I see a dozen of these a day. And what’s even crazier – these listings get a ton of responses! It’s a little hard to believe. I can’t see the appeal to either side of this arrangement. Does anyone really love the writing process itself so much that they’d be willing to undertake the grueling process of producing a novel for pennies an hour, only to forsake any rights and claims to their own creation upon completion? Is anyone so desperately enamored with the idea of being known as a writer that they would be satisfied with the hollow “achievement” of putting their name on someone else’s work? Apparently the answer is a disturbingly frequent yes on both accounts – it’s a big industry. It baffles me. It really does. If I’m being entirely honest, I suppose I would consider ghostwriting a novel for someone if I were offered an absurd amount of money to do so (financial freedom to pursue other projects is nothing to take lightly), but these jobs are being offered at too comical a salary to be considered “just work”. I could never quite comprehend the sentiment behind the other side of the table, though. If you want to be a writer then, you know – write! At the very least seek a co-author if you need help with a specific book. I simply can’t see fiction-ghostwriting as something that has any reason to be a thing – particularly not as big of a thing as it is. But I’m curious to hear others’ thoughts on the matter. Have you ever had experience with ghostwriting (from either side)? Would you ever consider it? Am I taking crazy pills?